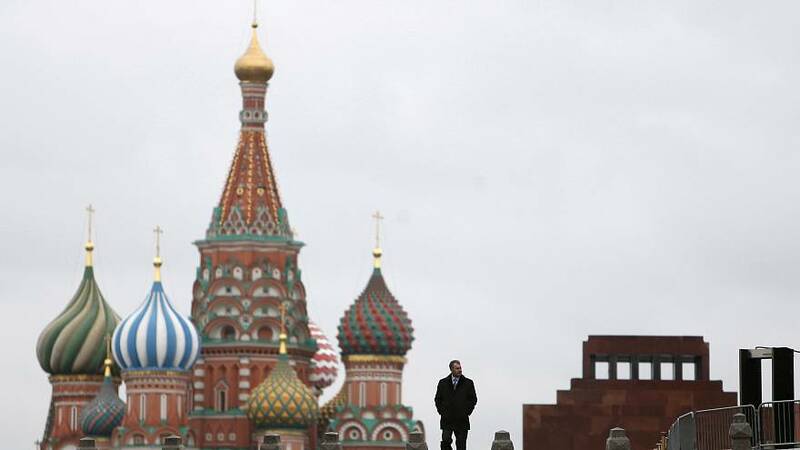 A European think-tank has published a report alleging connections between the Kremlin and the criminal underworld of Europe. The European Council on Foreign Relations highlights the influence of what they call “Russian-based organised crime” (RBOC) on violent and dangerous crimes across Europe. ECFR say Russian criminals are responsible for 1/3 of the heroin on European street corners, a “significant amount of non-European people trafficking”, and a majority of illegal weapons that find their way into European criminals’ hands. But as so-called “indigenous gangs” continue to take their lead from RBOC, ECFR and the report’‘s author Mark Galeotti says there is “growing evidence” to link these criminals to the Moscow’s state security networks- including the FSB (formally known under a different acronym as the KGB). The links between the Russian government and criminal gangs are not new. Galeotti points out that since Vladimir Putin’s rise to power in the late 1990s and 2000s, Moscow has worked with Chechen criminals to ensure the gangsters did not side with rebels against the Russian state. And during the 2011 Duma elections, reports show “clear indications” that criminal organisations were employed to disrupt opposition efforts. The papers says that although Moscow-linked street gangs, such as the Georgian “Kutaisi ‘clan’”, do still operate (and are targeted by coordinated, pan-European police raids), most of the organised crime emanating from Russia is more sophisticated. An example of this type of operation was broken up by the Portuguese police in Operation Matrioskas. Gangs had invested ‘dirty money’ (from drug imports) into failing football clubs, in order to launder money and run illegal betting groups from the UK, to Estonia, to Germany and Moldova. According to Galeotti, Putin’s Russian state is run as an “Adhocracy”, meaning rank and number matter little in comparison to how useful one is to be Russian state. Putin, Galeotti continues, has “continued the tradition” of putting criminals and prisoners to use. Viktor Bout is an example of this. A career criminal who was allegedly linked to GRU (Russian military intelligence), and set up a freight business with a twist. It is unclear if, for example, Bout’s offer of 700 surface-to-air missiles to the Colombian rebel group the FARC was on Moscow’s direct instruction, but the ECFR point out that the sheer number of missiles apparently sourced by Bout “suggests so”. However international these alleged crime links are, not all the criminal projects are on the macro-scale of large weapons trading. The Russian security services also seem to be involved in seemingly less significant, but still highly organised operations, such as the illegal mass-import of cigarettes from Russian into Estonia. This link was uncovered after a “brazen raid” by the FSB into Estonia to arrest an Estonian security agent who was allegedly on the cusp of discovering Russian ties to the illegal trafficking. ECFR say the evidence points to the profits from this endeavor being poured into “operational funds” for apparent Russian political activities in Europe, while avoiding any Kremlin fingerprints being found. The report suggests several ways in which European nations and security agencies can combat Russia-based organised crime, including a common approach to money laundering, and better information exchanges between security services and police.